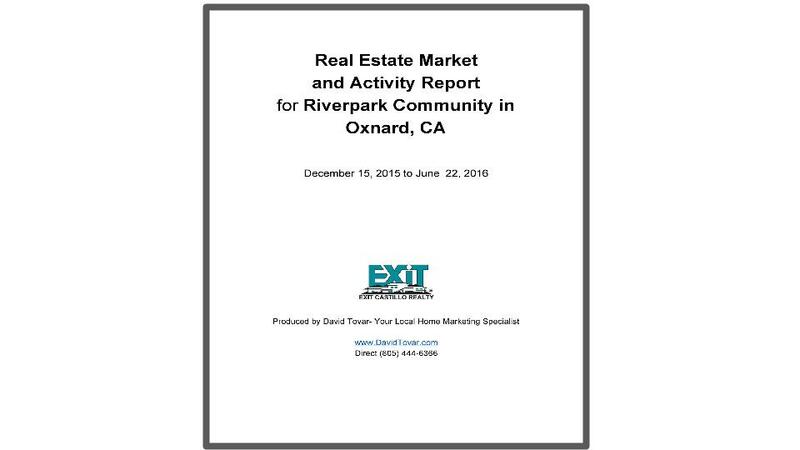 I Just completed my latest Riverpark Real Estate Market Report for our neighbors in this beautiful neighborhood in Oxnard, California. This is a free tool for our neighbors in Riverpark that are thinking of selling their home and or anyone wanting to learn more about what it takes to live in this wonderful community. This is one of Oxnard's premiere locations. In this report you will find the most recent Active Listings, Sales in the past six months, and expired listings. Additionally, you will find the median sales price, average sales price, days on market and more. As a Bonus, I have included 10 Critical Ideas you must know in order to increase the value of your home before selling. Many of these ideas pertain to the qualify of the property but not all of them. In fact, I cannot emphasize enough one particular idea that has nothing to do with the quality of the house but more so with access to the home which, believe it or not, can impact the value. For example, if a motivated buyer visits your home via an Open House or a Private Showing and the owners of the property are present this impacts their motivation because they don’t ask important questions about the property and rush through the process because they feel they are invading your home. Therefore, a weak motivation to buy translates into a weak offer for your property. Please VACATE your house during showings! 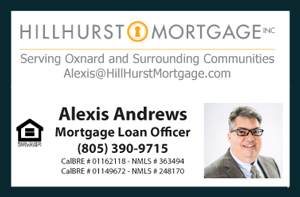 You may text or call me to request your Free Report direct at (805) 444-6366.